A fiery object was seen streaking across the sky over sky early on June 29, leaving hundreds of witnesses to guess if it was a meteorite or a piece of space junk. The fireball was spotted by the residents of Georgia, South Carolina, Tennessee and Alabama at about 1:30am local time, local mediareport. 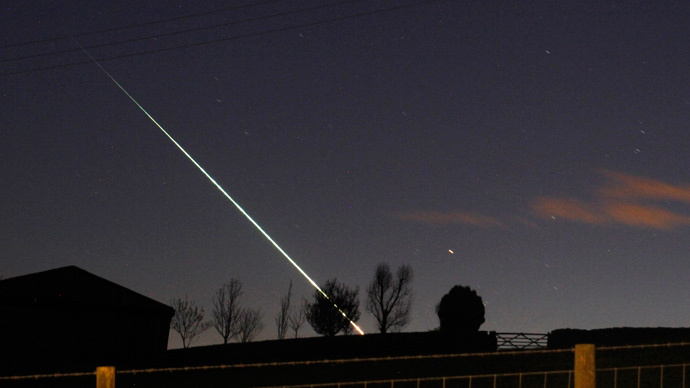 Witnesses described the object as a bright fireball with a long smoke-like tale behind, saying it was moving from west to east only to disappear few moments after it was spotted. The event has got wide coverage through social media as many people posted videos and pictures with their guesses about the meteor-like object. According to the American Meteor Society fireball is another term for a very bright meteor, generally brighter than magnitude -4, which is about the same magnitude of the planet Venus as seen in the morning or evening sky. A bolide is a special type of fireball which explodes in a bright terminal flash at its end, often with visible fragmentation. A spokesperson for the US Federal Aviation Administration (FAA) says the fireball which was seen over Walker County (Alabama) was a meteor as neither FAA nor local authorities have any confirmed information about a plane crash or any other accident, Alabama media report. On Monday, NASA officials resolved the mystery saying it was space debris. The agency said that it was traveling around 14,500 miles per hour and was tracked by NASA cameras in the southeast.